An evening talking about ultra running adventures, multi-day racing, and the crucial aspect of crewing for an ultra distance race of any length. A chance for anyone, with even a passing interest in extreme endurance challenges at any distance, to hear first hand how to train and prepare, both physically and mentally, Also how to support anyone on an ultra distance adventure. 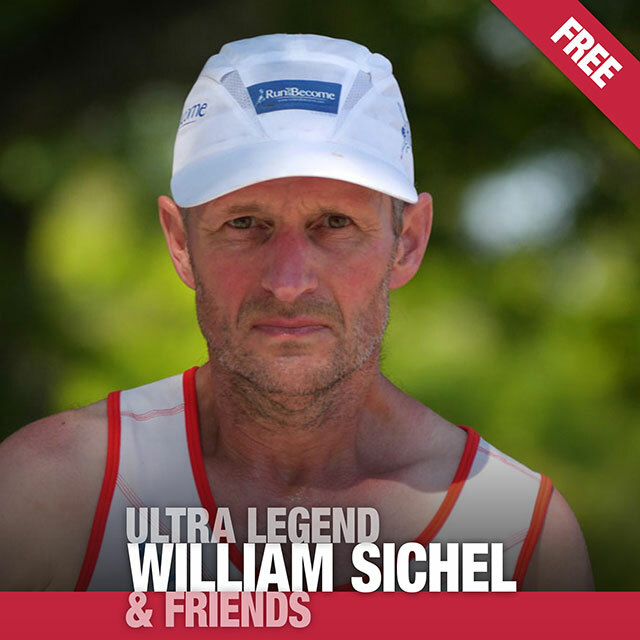 William Sichel has become something of an Ultra legend over recent years, having run with distinction, internationally for Great Britain at 100km (pb 7:07:49) and 24 hours, (246.7 km 153 miles). In 2014, he became the first British athlete to complete the Sri Chinmoy Self-Transcendence 3,100 mile race in New York in the 51 day time limit. The “3100” is the world’s longest accurately certified road race. 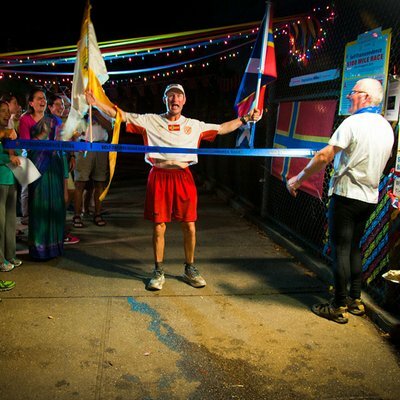 At the age 60 he was, and still is the oldest finisher of this race. In his years of running he has, to date set more than 500 (five hundred!) 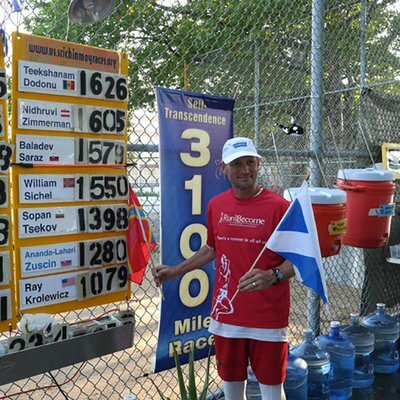 age group records at Scottish, GB and world level from 24 hours up to 3,000 miles! 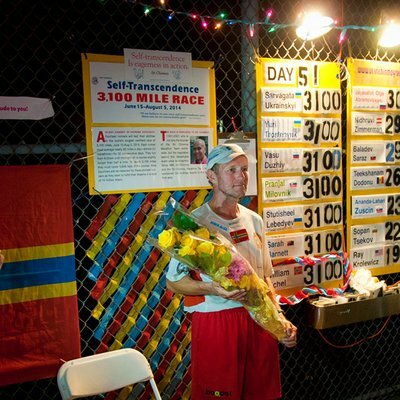 Alan Young, ss well as being a competent ultra runner, in recent years has thrown himself into supporting runners in Multi day events,. He has supported William at many events, including spending 51 days, supporting him in 2018 at the Sri Chinmoy Self Transcendence 3100 mile race in New York. 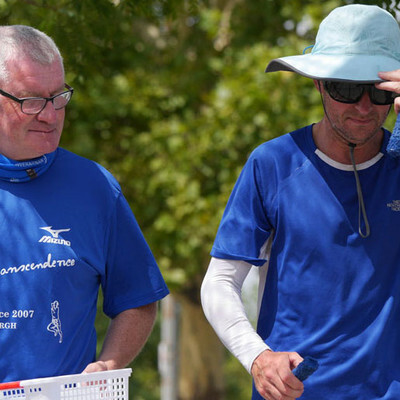 He has many tales to tell of supporting and helping at other ultra’s and multi day events, as well as priceless advice on crewing learned over many years.